Processing transactions in a secure, efficient manner is essential for businesses in the service industry. That’s why Veritrans offers payment processing solutions designed exclusively for service-based businesses. 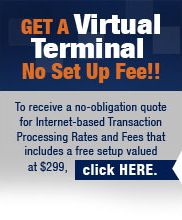 Our terminals let you quickly and easily process all types of credit card transactions from behind the counter, at the table, or on while mobile, and with a Merchant Account from Veritrans, you’re guaranteed to get the lowest rates and the best service in the industry. From mobile payment processing solutions to standard POS terminals, Veritrans offers the most advanced credit card processing equipment, helping you streamline your operations and increase your profits. Find the payment processing solution that’s right for your business. Call 1-866-474-4144 Opt. 2 today to talk with a knowledgeable customer service representative.